The department cultivates a warm and caring community infusing fun activities throughout the year. Alongside serious studies and hard work, we have BBQs, Shop Fun Days, and the Gilbies, our version of the Tony Awards organized by the senior class. 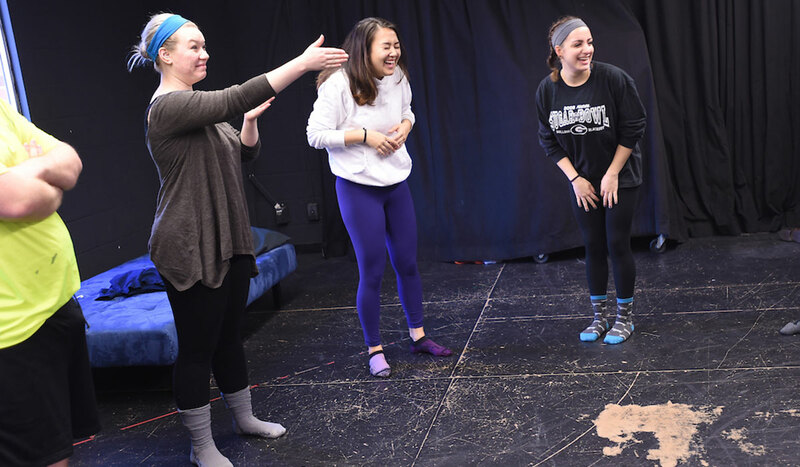 The camaraderie experienced in our department, often remarked upon by students and alums, is considered a highlight of attending CUAdrama. Read our student written blogs to get a sense of life in the drama department. The Journey from HSDI to Catholic University Students from the High School Drama Institute discuss their journey to becoming college freshmen at CUAdrama. Being Elizabeth Bennet: A Reflection by Desiree Chappelle M.F.A. Acting Candidate, Deisree Chappelle, reflects on her role as Elizabeth Bennet in the upcoming production of "Pride and Prejudice" by Jon Jory.